Recently, Sprint announced a partnership with Harman Kardon to deliver exclusive sound FX technology to their variant of the HTC One M8. The joint effort between the two companies is both to entice customers to switch to Sprint as well as improve the overall audio quality coming from the already extraordinary BoomSound speakers. But while this is great for new and existing Sprint customers, it does leave the rest of us out in the cold. 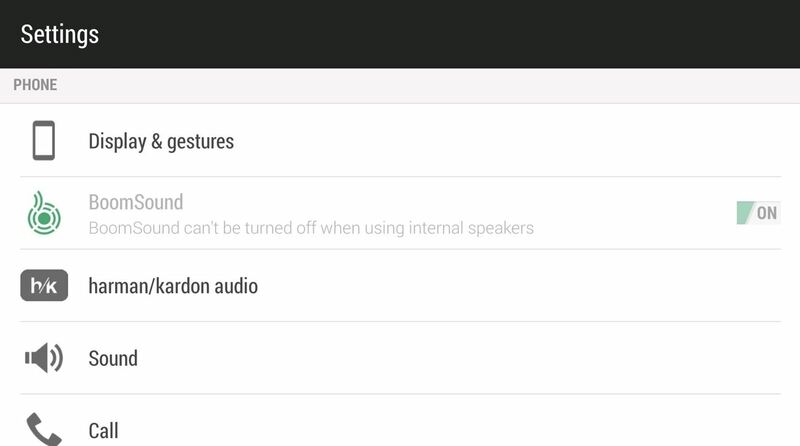 Thanks to Android dev Adrian Toporan, we can now flash the Harman Kardon audio enhancements through through a custom recovery and bring these FX to almost all carrier variants. Unfortunately, Google Play Editions will not work, as those devices utilize a completely different framework than the standard Sense-based HTC Ones. Optional: Your device should be S-Off (it's needed in case you can't hear any music). Optional: A file explorer may also be needed (if you don't see the Harman/Kardon setting). No-brainer: A current backup of your phone before starting since this will change some key components of your device. Luckily, the Enable HK .zip file is universal for all models, so follow the link below and download the file directly to your phone's storage. Note that the file below is version 3. Newer versions of this file may be available through the development thread. Download the enable_hk_v3.zip on your HTC One. 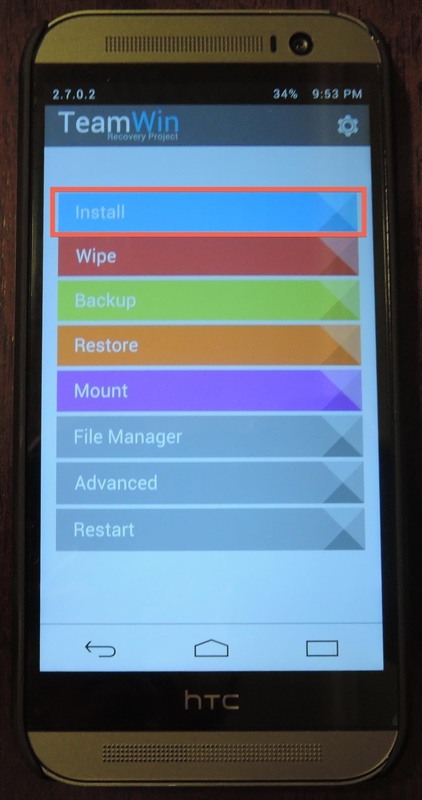 After the download finishes, reboot your phone into your custom recovery—in this case I will be using TWRP. To get there, hold the Power and Volume Down buttons for 10~20 seconds and when you see the bootloader menu, select Recovery using the Power button. 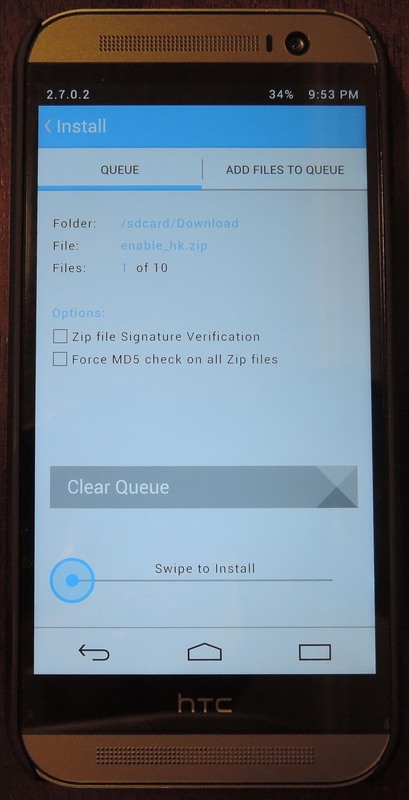 From the TWRP main menu, tap the Install option, select the .zip you downloaded earlier, then Swipe to Install. Once the install finishes, tap Reboot and wait for your device to restart. If you're currently a Verizon Wireless subscriber, proceed to the next step, as you have one more thing you need to do. If you have an AT&T, T-Mobile, or International variant, then open your Settings app and make sure you see the harman/kardon audio toggle. If it is not there, or you don't hear any audio coming out of your speakers, follow the troubleshooting steps below the next step. And just like we did above, flash this file in recovery, then reboot your device to see your new settings. Troubleshooting: Don't See the Harman/Kardon Setting? If the setting isn't there, you'll need to adjust a line in the default.xml file on your device. To do this, you are going to need a file explorer like ES File Explorer. Save your changes and reboot your phone, after which you should be all set! Troubleshooting: Have the Setting, but Can't Hear Any Music? If you can't hear any audio, that is because you need to update your Advanced Digital Signal Processor, or ADSP, firmware. Updating is not a problem, but it does require you to have an S-Off device. Because the firmware file cannot be flashed from TWRP, you will need to use ROM Update Utility (RUU) mode. 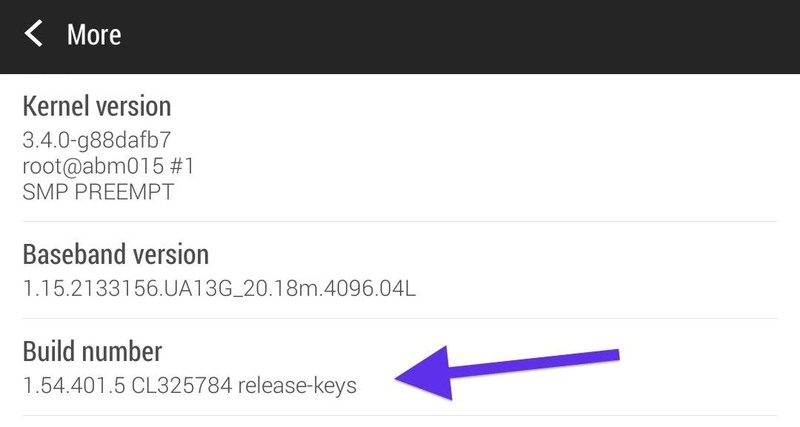 Make sure USB debugging is enabled and that ADB is installed on your computer. If you find that neither of these fixes work, you may need to flash a new ROM that has a 1.5 or above Sense 6 build number, in order to see the new setting. 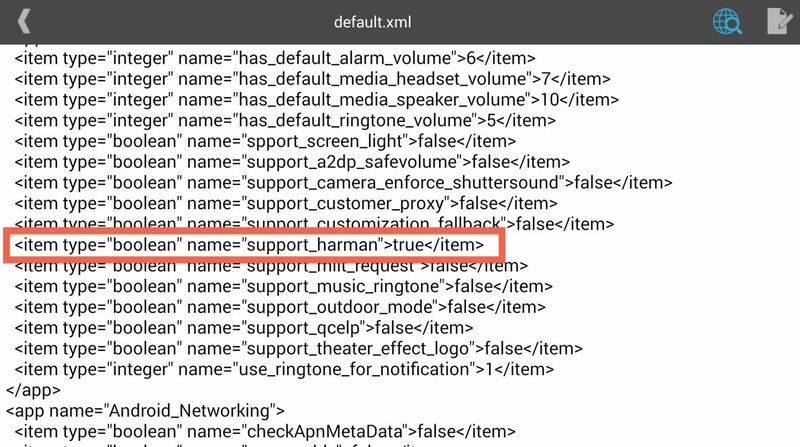 This happens because ROMs, custom or stock, that have a base below 1.5 do not have the code necessary to display the Harman Kardon settings. To check your base version, go to Settings -> About -> Software Information -> More and look under Build Number. If you are looking for a stock ROM with a 1.5 build, the ARHD Team hosts an up-to-date version on their website. As far as custom ROMs go, you can always check out the M8 page over at XDA to see which one has the mods that suit your needs. If you did everything right, you should now have an HTC One with Harman Kardon audio. If you run into any issues that were not covered in the guide, be sure to leave me a comment below and I'll see what I can do. tell me plz, can I use boom sound and harman depending on the needs? Or for using boom sound i will need make boomsound mod? Can i install this on htc e8?